Join us on April 17th for this month’s event. 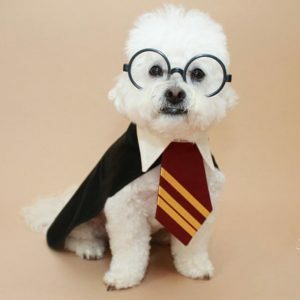 We are hosting a Harry Potter-themed party featuring photos from Azkaban Prison, a visit from the Sorting Hat, and a race to catch the Golden Snitch! Turn your little witch or wizard’s regular day of daycare into a magical trip through Platform 9 3/4. Register here or RSVP with one of our receptionists today! Book for Pawgwarts has come to Canine Cabana!